What Are Stablecoins - What You Need to Know? Cryptocurrencies are volatile. Everyone knows that. This volatility has been a major hurdle in actually using cryptos as a payment medium. Retailers don’t want to accept a payment for their goods only to watch it depreciate by 20 percent before sunrise. Likewise, holders of a specific coin don’t want to spend it because it could rise in value. The speculatory nature of cryptocurrencies has created a spiral of despair in the space – if no one spends, crypto prices will fall. And if prices fall, no one will spend. This leaves the entire crypto-sphere in somewhat of an existential limbo. Right now, people generally do one of two things with cryptocurrencies. They hold them, or they trade them. Traders, on the other hand, have entrenched themselves in markets, watching the news, charts and Crypto Twitter like hawks to get that necessary advantage on their peers. And when they see the sign they’ve been waiting for…they pounce. But what facilities this process? Surely they aren’t using Bitcoin to buy into this alt-coin they’ve just got the scoop on…it’s way too volatile. No, they’re likely holding their funds in a relatively new type of crypto called a stablecoin. Like Bitcoin or its altcoin siblings, stablecoins harness the power of blockchain technology and offer a decentralized alternative to old-school financial systems. These coins are typically pegged to a fiat currency such as the U.S. dollar or euro, but increasingly, cryptos backed by assets such as gold are gaining popularity. And because stablecoins are built on blockchain technology, they are easily transferrable, verifiable, and borderless, meaning anyone in the world can use them as they see fit. Because of their versatility and lack of volatility, stablecoins have become a staple in exchanges which do not allow fiat deposits or withdrawals. 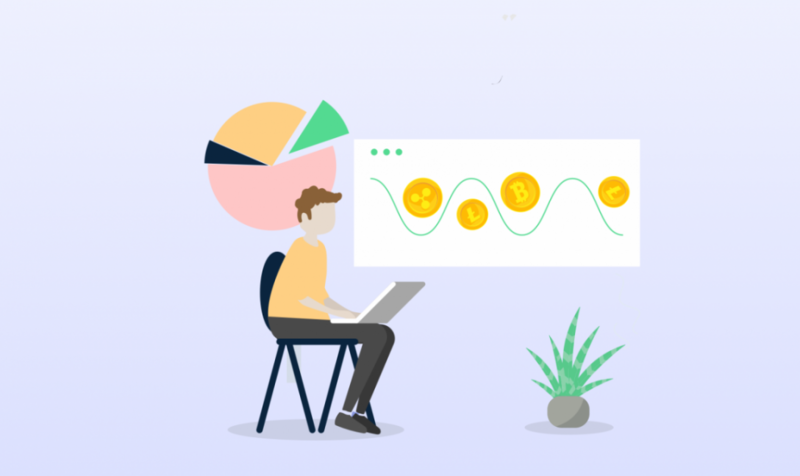 Traders can utilize this new asset class as a tool to protect their funds from major spikes or dips in traditional cryptocurrencies by keeping their holdings in a stablecoin rather than a more volatile alternative such as Bitcoin. Additionally, there is the potential to use stablecoins as an alternative to cash. While few merchants currently accept stablecoins, the future is promising. With widespread adoption, merchants would be able to participate in the crypto world without worrying about losing a percentage of their funds within a matter of hours. Imagine being able to go anywhere in the world, whip out your phone, and pay for a cup of coffee instantly and without conversion fees or transfer fees. And without a bank ever getting involved. But still, like other projects in the space, they’re still in their infancy. And certainly not without controversy. Stablecoins offer a tremendous array of promising features. From liquidity to stability, the future is bright for this young asset class. But stablecoins are not without their faults. The most glaring issue with stablecoins, in fact, is their biggest selling point. Stablecoins are still mostly pegged to the very thing many in the crypto space are fighting against: fiat currency. While it’s not necessary to go deep into the ‘dollar bubble,’ it’s worth noting that the U.S. dollar isn’t backed by anything, except faith in the government. This means that it can be printed, manipulated or inflated as the U.S. government feels fit to do so. Additionally, because one company is responsible for creating, auditing, and ensuring that the stablecoin is, in fact, backed by what they say it is, there is a single point of failure that does not exist in other truly decentralized cryptocurrencies. This was seen in late-2018 when Tether, arguably the most popular stablecoin, fell by nearly 13 percent on rumors that the company was not holding enough USD to actually back the amount of Tether in circulation. Just like with any cryptocurrency on the market, there are pros and cons to stablecoins. They can provide a short-term solution to volatility and even help cryptocurrencies penetrate retail markets, but they’re not perfect, and they’ve still got a lot of growing up to do. In a perfect world, all stablecoin audits would take place under a decentralized authority to ensure that the coins are appropriately backed by the assets the stablecoins claim, but until then, we’ll have to take what we can get. Stablecoins are still an excellent tool, but always remember to do your own due diligence to ensure that your funds are safe no matter what.